In eighteenth century America, both men and women of the upper classes wore make-up. But, shortly after the American Revolution the use of visible “paint” cosmetics (colored cosmetic for lips, skin, eyes, and nails) by either gender gradually became socially unacceptable. 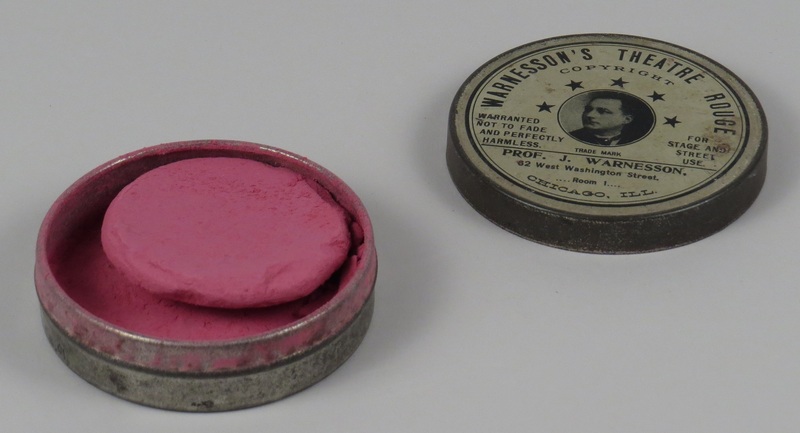 For most of the nineteenth century few paint cosmetics were manufactured in America. Instead, women relied on recipes that circulated among friends, family, and women’s magazines; using these recipes, they discreetly prepared lotions, powders, and skin washes to lighten their complexions and diminish the appearance of blemishes or freckles. Druggists sold ingredients for these recipes, as well as the occasional ready-made preparation. Painting one’s face was considered vulgar and was associated with prostitution, so any product used needed to appear “natural.” Some women secretly stained their lips and cheeks with pigments from petals or berries, or used ashes to darken eyebrows and eyelashes. Woman worked to attain the era’s ideal feminine identity; a “natural” and demure woman with a pale-complexion, rosy lips and cheeks, and bright eyes. 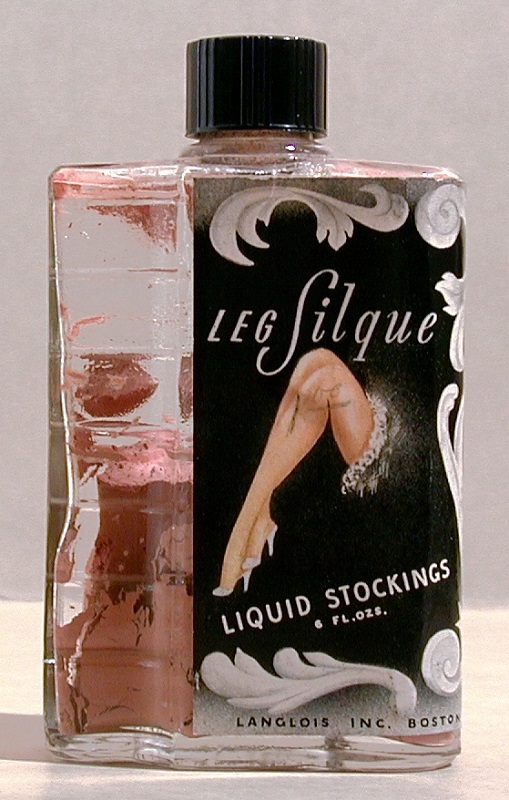 In the 1880s, entrepreneurs began to produce their own lines of cosmetic products that promised to provide a “natural” look for their customers. Some of these new companies were small, woman-owned businesses that typically used an agent system for distribution as pioneered by the California Perfume Company, later rebranded as Avon. This business model allowed many women to make money independently. Also, more women were earning wages and buying cosmetics, thereby enlarging the market further. Women could make a living in the burgeoning cosmetics trade as business owners, agents, or factory workers. Most of these entrepreneurs came from fairly humble origins, and some managed to transform their local operations into successful businesses with a wide distribution of their products. 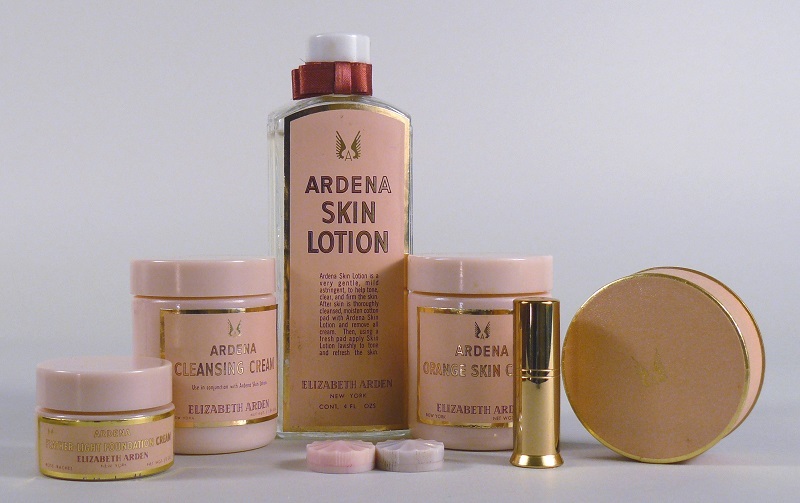 Florence Nightingale Graham, for example, was the daughter of tenant farmers, and worked many low-paying jobs before opening a beauty shop for elite clients and reinventing herself as Elizabeth Arden. African American women also found success through this model, but faced extra obstacles. 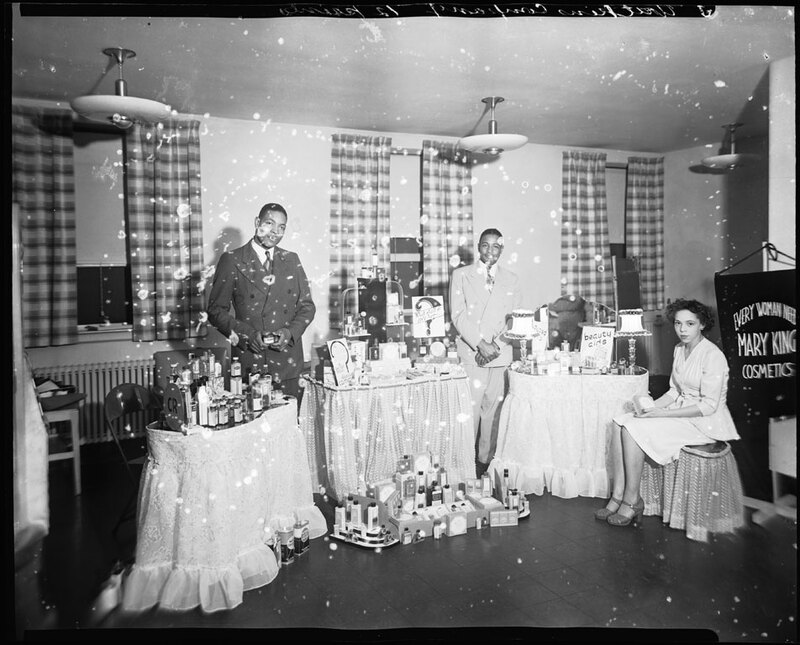 Many white shop owners refused to consider stocking African American beauty products until successful businesses like that of Madam C. J. Walker created enough of a demand through other distribution channels. By the 1920s, it was fashionable for women, particularly in cities, to wear more conspicuous make-up. This shift reflected the growing influence of Hollywood and its glamourous new film stars, as well as the fashion of theater stars and flappers. “Painted” women could now also identify as respectable women, even as they wore dramatic mascara, eyeliner, dusky eyeshadow, and lipstick like the stars of the screen. The growing ethnic diversity of the United States also influenced how cosmetics companies marketed their products. “Exotic” or “alluring” ethnic stereotypes became inspirations for make-up fashions that ostensibly reflected the American melting pot. White women could experiment with a trendy, exotic identity – and then wash it off. African American identity, however, was explicitly excluded from this ethnic mingling. In the late 1920s and 1930s, it became fashionable for white women to sport the appearance of a “healthy” tan. Previously, a tan had been equated with working-class women who performed outdoor labor; now a tan identified a woman as modern and healthy, participating in outdoor recreations and leisure. 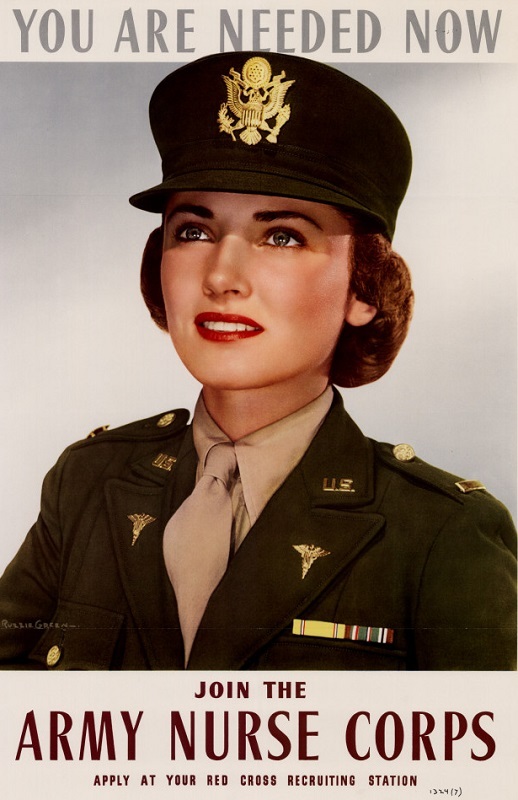 Make-up colors were marketed in various “suntanned” shades, giving women the option to remove the “tan” whenever they wished to reclaim a fair complexion. At this time, the cosmetics business experienced a major shift. 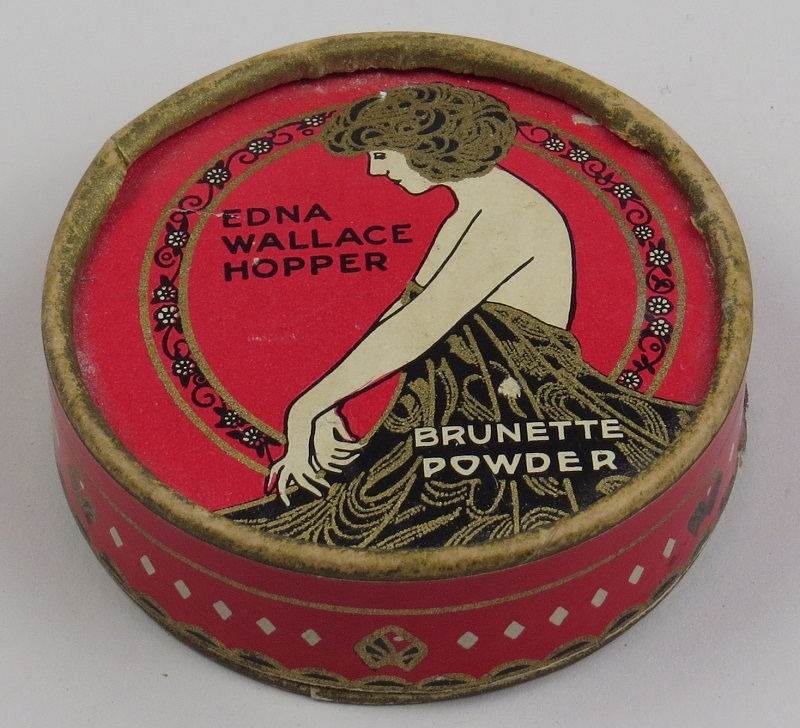 Small cosmetics companies, many of which were owned by women, were replaced by larger corporations. Business models had changed: in order to remain competitive and achieve wide distribution, a business had to engage in wholesale bargaining with male-owned chain drug and department stores. Because women were usually excluded from these distribution channels, most female-owned businesses could not compete. 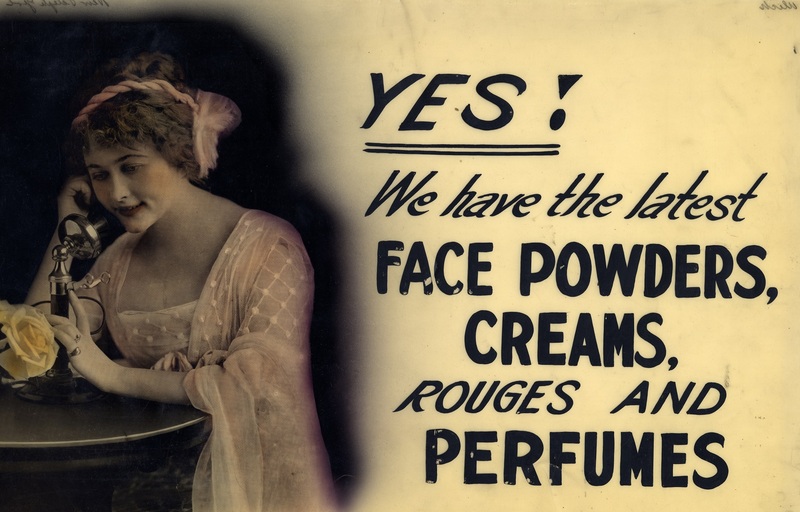 By 1930, a small handful of companies controlled 40% of the cosmetics industry. These companies now released thousands of factory-produced, similar products under various brand names. 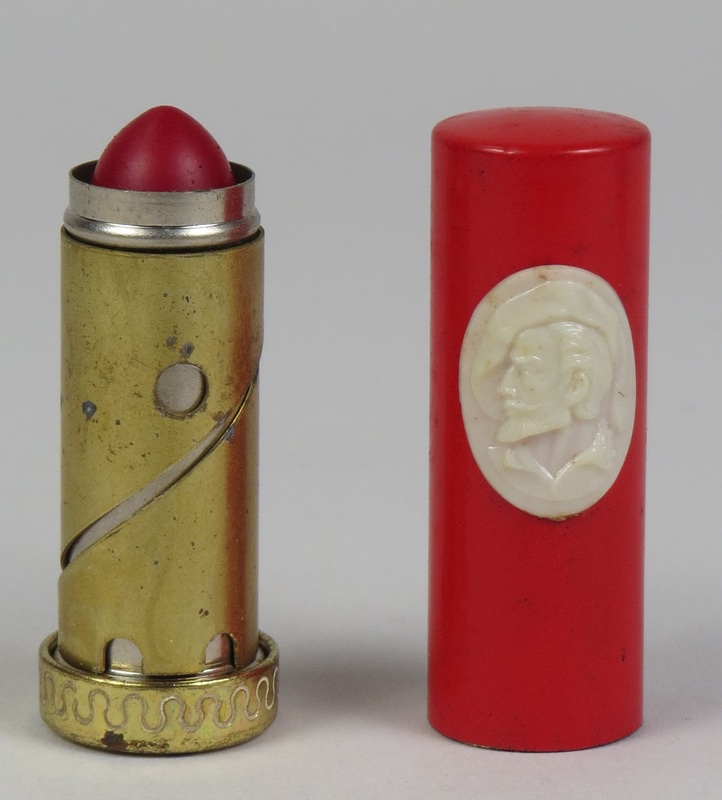 After the war, 80-90% of American women wore lipstick, and companies like Avon and Revlon capitalized on this now-ingrained fashion. 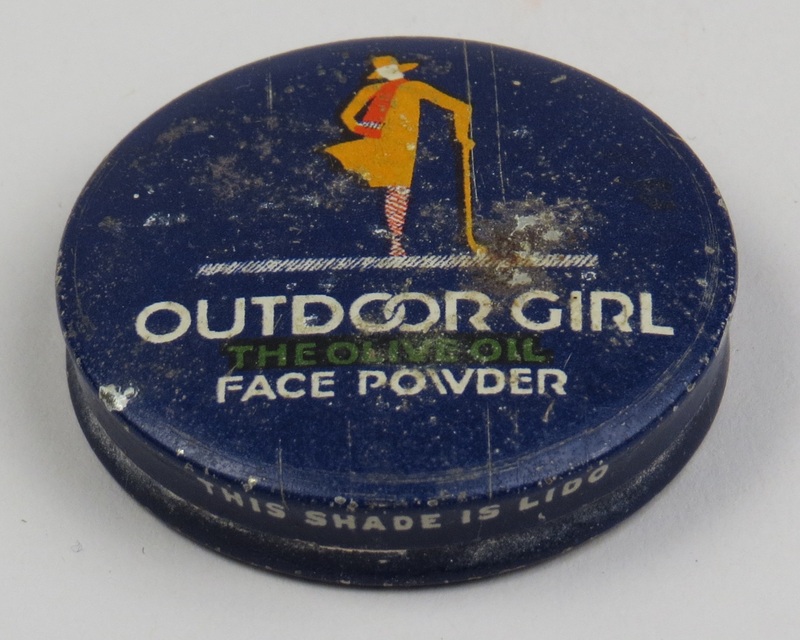 By the 1950s and 1960s, teenage girls were commonly wearing make-up and cosmetic companies devised separate marketing campaigns to target the younger age groups. 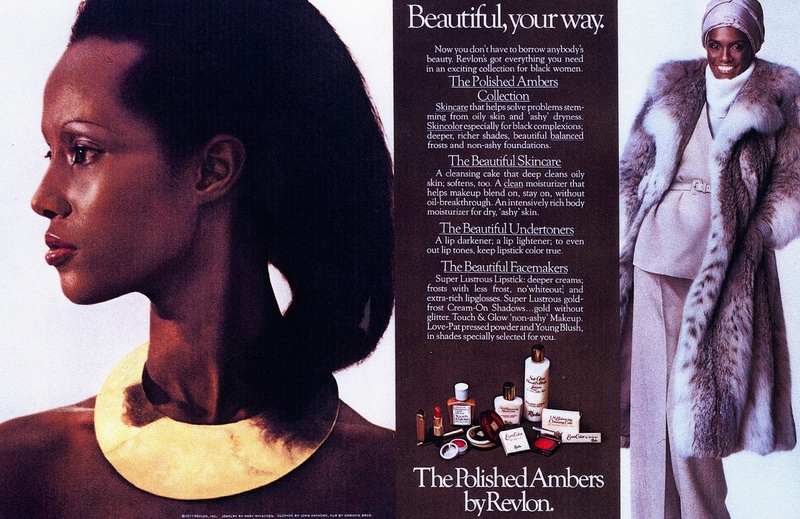 In the late 1960s, using makeup became politicized. Counter-cultural movements celebrated ideals of natural beauty, including a rejection of make-up altogether. Cosmetics companies returned to advertisements that claimed that their products provided a “natural” look. 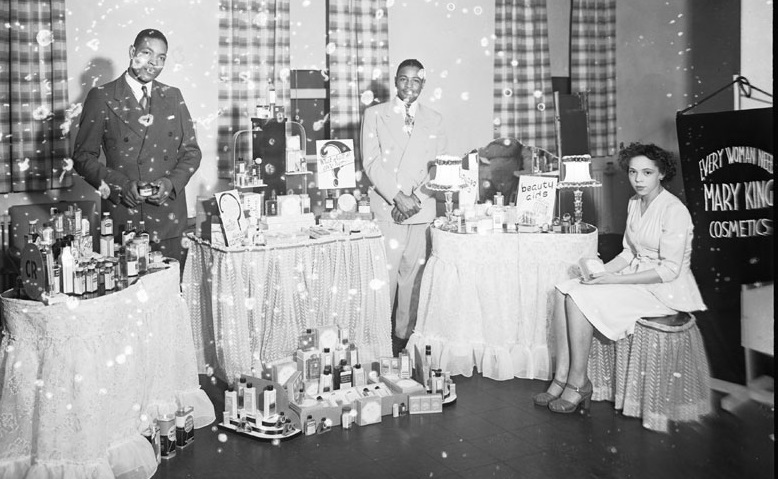 These ideals still relied on racial whiteness as the basis of feminine beauty, but under continued pressure from women of color, major cosmetics firms began to cater to the African American market, not only by producing products geared toward black women (often under separate brands), but also by hiring black women as sales agents. However, the so-called “ethnic” segment of the cosmetic market remained small, making up only 2.3% of total sales in 1977. Gill, Tiffany M. Beauty Shop Politics: African American Women’s Activism in the Beauty Industry. Urbana; Chicago: University of Illinois Press, 2010. Jones, Geoffrey. Beauty Imagined: A History of the Global Beauty Industry. Oxford; New York: Oxford University Press, 2010. Jones, Geoffrey. “Blonde and Blue-eyed? Globalizing Beauty, c.1945–c.19801.” The Economic History Review 61, no. 1 (February 1, 2008): 125–54. doi:10.1111/j.1468-0289.2007.00388.x. Morris, Edwin T. Fragrance: The Story of Perfume from Cleopatra to Chanel. New York: Scribner, 1984. Apply with the finger tip or a bit of absorbent cotton to the nails. Will give them a soft, pink tint. Cutex Rouge is also an excellent lip and face rouge.